Iran’s involvement in Syria is growing. So is the Iranian death toll. For decades, the Islamic Republic has been a pivotal ally of the Assad dynasty and a source of arms, military advisers, and billions in financial aid. But it stepped up support after the uprising began in 2011. It helped create the National Defense Forces, a group of some 80,000 Alawites, Shiites and regime loyalists who bolster the Syrian army. In 2013, Tehran reported the first deaths in Syria. Iran’s support for the regime of President Bashar al Assad became even more critical to the regime’s survival after the 2014 rise of ISIS. By 2015, Iran was losing senior Revolutionary Guards (IRGC) commanders deployed to aid Syrian government troops. In October, two generals, as well as several other Iranian troops, were killed. At least eight have been killed since 2013. The presence of Iran and its allies, such as Hezbollah, has helped tip the military balance. “I think the balance of forces right now are in Assad’s advantage,” Marine Corps General Joseph Dunford, the chairman of the Joint Chiefs of Staff, said in October. He estimated that there were less than 2,000 Iranians operating in Syria and more than 1,000 in Iraq. Brigadier General Hossein Hamedani is the best known IRGC officer to be killed. He was a hero of the Iran-Iraq war. He was held in such high esteem that Supreme Leader Ayatollah Ali Khamenei paid a visit to his grieving family. Iran claimed that he was killed by ISIS on October 8. Brigadier General Reza Khavari, a senior IRGC commander of the Fatemiyoun Division, was killed in Hama province, in central Syria, on October 22. A bodyguard to former President Mahmoud Ahmadinejad was also killed in October. In April, Major General Hadi Kajbaf was killed near a rebel-held town south of Damascus. Iran has repeatedly claimed that only a small number of troops are in Syria—and only in an advisory role. Iranian media reported that they are helping devise strategy against “takfiri” forces, referring to al Qaeda affiliates, the Islamic State (ISIS) and other extremist Sunni groups challenging the Damascus government. (Takfiri is a name for Muslims who accuse other Muslims of apostasy). But in early October 2015, Lebanese sources claimed that hundreds of Iranian troops entered Syrian in preparation for a major ground offensive. In mid-October, Qassem Soleimani, the IRGC commander of the elite Qods Force, was seen touring the front lines as pro-government forces amassed for a major campaign in Aleppo, Syria’s largest city. The Syrian army was bolstered by hundreds of troops from the Lebanese militia Hezbollah and Iran as well as Russian air power, according to Reuters. Iran has also organized militiamen from Afghanistan, Iraq, Pakistan and other countries to aid Syrian government troops. Between January 2013 and August 2015, funerals had been held for some 121 Afghan nationals and 20 Pakistani nationals who died fighting in Syria, according to Iran expert Ali Alfoneh. More have reportedly died since then. The Fatemiyoun military division, composed of Afghan refugees living in Iran and Syria, is reportedly the second largest foreign military force fighting for the regime, after the Lebanese Shiite militia Hezbollah. Iran has cultural as well as strategic interests in Syria, which is home to some 50 Shiite shrines and holy places. They have been sites of Iranian pilgrimages for centuries. Iran has committed to defending Shiite holy places from Sunni extremists. It called for volunteers to protect shrines in May 2013, after Sunni rebels reportedly ransacked the Damascus shrine of Hojr Ibn Oday, who was revered in early Shiite history. 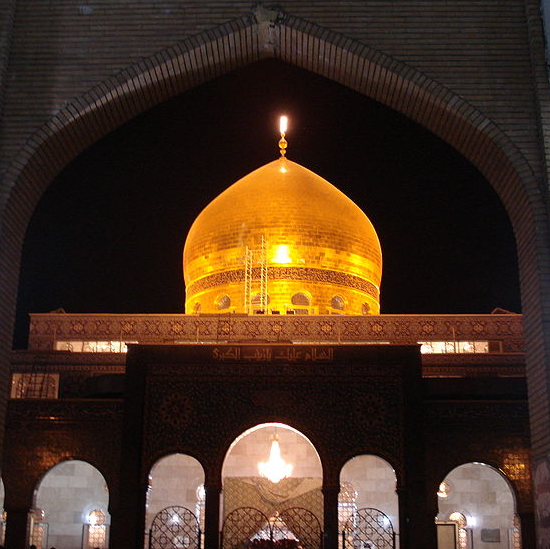 Iran is particularly attached to the Sayyidah Zaynab Shrine, near Damascus, another hallowed site for Shiites. Iranians have volunteered to protect the gold-domed structure, which houses the remains of Zaynab, who was the granddaughter of the Prophet Mohammed and daughter of Ali, the fourth leader of the early Islamic empire. Shiite literally means “follower of Ali.” In June, Iranian state media noted that 400 volunteers or “martyred defenders” of the shrine had been killed. The following is a rundown of some of the higher ranking Iranians and IRGC members who have been killed in Syria. Nov. 9, 2015: IRGC Major Mohammad Tahan from the Ghaem al Mohammad unit was reportedly killed. IRGC Commander Major General Ali Jafari wrote a letter of condolence to his family. Nov. 9, 2015: Major Mousa Jamshidian was reportedly killed. He was in the IRGC 8th Najaf Ashraf Armored Division. Nov. 3, 2015: Colonel Ezzatollah Soleimani was killed in Aleppo. Prior to his deployment to Syria, he was commander of the Hazrat Bani Hashem Brigade 44. Seyed Ali Hosseini Alemi from the Fatemiyoun Division and Captain Seyed Sajjad Hosseini from the Khordad 15 Artillery Division were also killed in Aleppo province. Oct. 25, 2015: IRGC Third Lieutenant Mohammad Zahiri was reportedly killed near Aleppo. Oct. 24, 2015: IRGC member Milad Mostafavi was reportedly killed in Aleppo fighting ISIS. Oct. 23, 2015: IRGC members Mostafa Sadrzadeh was reportedly killed in Aleppo fighting ISIS. Sajjad Tahernia and Ruhollah Emadi were killed near Aleppo. Oct. 22, 2015: Brigadier General Reza Khavari, a senior IRGC commander of the Fatemiyoun Division was killed in Hama province, which is in central Syria. Mohammad Estehkami Jahromi, from the IRGC’s 33th Airborne Special Forces Brigade, was also killed. Oct. 19, 2015: Basij force commander Nader Hamid reportedly died from his wounds several days after a clash with rebels in Quneitra province. Mehdi Alidoust, a member of the IRGC 17th Ali Ibn Abu Taleb Division, was killed. Oct. 17, 2015: IRGC commander Muslim Kheizab is reportedly killed while on an advisory mission in Syria. Mid-October 2015: Abdollah Baqeri Niyaraki, an IRGC commander and who previously served as a bodyguard of former President Mahmoud Ahmadinejad, was killed defending a religious site near Aleppo with Amin Karimi. Oct. 13, 2015: Colonel Farshad Hasounizadeh, the former commander of IRGC's Saberin Special Brigade, and Hajj Hamid Mohktar-band, the former commander of IRGC Hazrat Hojjat 1 Brigade, was killed in southern Syria. Oct. 8, 2015: A top IRGC commander, Brigadier General Hossein Hamedani, was killed during an attack by ISIS near Aleppo. Late August 2015: Ahmad Hayari, commander of the Shoush Basij Imam Hossein Brigade, was killed in Latakia, an Assad regime stronghold in northwest Syria. July 11, 2015: IRGC Colonel Qassem Gharib and Colonel Abduk Karim Ghavabish were killed in Syria. April 2015: IRGC Major General, Hadi Kajbaf, was killed near a rebel-held town south of Damascus along with three other Iranians, including a mid-ranking Shiite cleric. Jan. 18, 2015: IRGC Brigadier General Mohammad Ali Allahdadi was killed in an alleged Israeli airstrike on the Syrian side of the Golan Heights. Oct. 9, 2014: IRGC Brigadier General Jabbar Darisavi was killed near Aleppo. May 26, 2014: Abdollah Eskandari, a retired senior IRGC Brigadier General, was killed while fighting south of Damascus, according to Iran’s defense ministry. November 2013: IRGC Commander Mohammad Jamalizadeh was killed in Syria. Oct. 31, 2013: Western media outlets aired video footage of IRGC members engaged in combat. August 2013: IRGC Brigadier General Esmail Haydari was killed in Syria. Feb. 12, 2013: IRGC Brigadier General Hassan Shateri was killed while traveling from Damascus to Beirut. Jan. 28, 2013: Ali Asgari Taqanaki, a Qods Force operative, was killed in Damascus. It was the earliest record of an Iran national to die in combat, according to Ali Alfoneh.